We look back on the places we used to go to when we were kids. 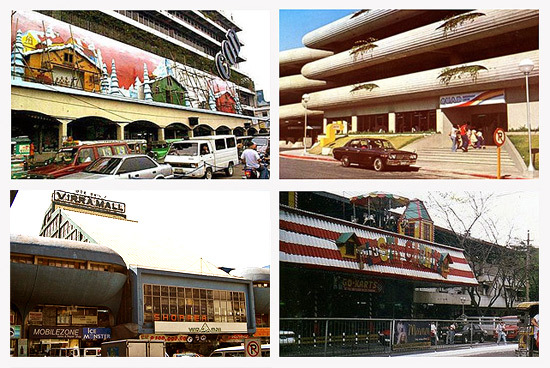 (SPOT.ph) Before the Internet took over our lives, we entertained ourselves by actually going to places-ones that are sadly not around anymore. We made plans with friends over an actual telephone (party line permitting) and because none of us had mobile phones, there was no way of knowing whether said friends would actually show up. We would trust and believe and, if we thought them lost, there was always the PA system and we would meet them over at Customer Service. This list is by no means comprehensive but is likely to elicit some laughs and more cringes (First date? First breakup place?). Hit the comments section with your own favorites! 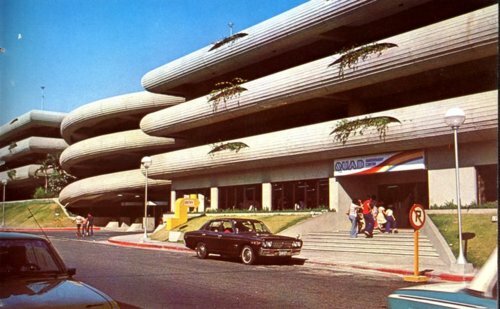 Before the dawn of the Glorietta malls, that area was simply called Quad. Some kids may remember taking ballet lessons at Goldcrest or hunting down toys at Nova Fontana. There was also Tickles, a crazy-packed store with cool notepads and pens. Quad was where Hard Rock Cafe was located, the only nightspot some kids might have been allowed to "hit up" back then. We probably felt so grown-up hopping from TGI Friday’s, eating chicken fingers, to Hard Rock Cafe. While some of those places are still around, Quad will always feel like that long-lost hangout we’ll always wish we could go back to. COD (Christmas on Display) was a Christmas staple for Manila folks. Most of us would have probably watched the show atop our dads’ shoulders on a cool December evening, as the Christmas stories were acted out via animatronics. Everyone could watch for free so the place was always packed and the people were always in high spirits. It closed down in 2004 and a Puregold grocery has been built in its place. 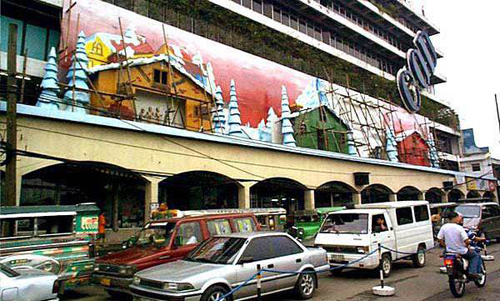 Greenhills Shopping Center has taken over the Christmas animatronics throne and now holds shows in its parking area every Christmas season. Who doesn't miss old cinemas? There was balcony seating and if there were no more chairs, you can sit along the aisle. Also, if you missed the start of the film, you could stay behind and start it all over again-a fact that is completely alien to moviegoers of today. 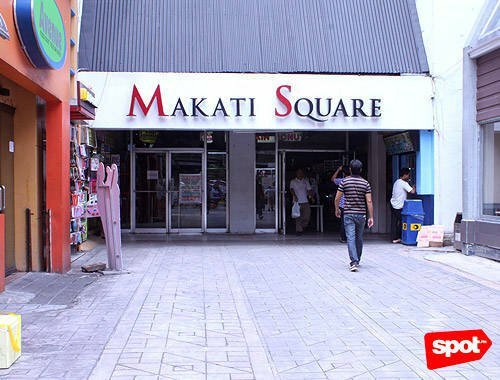 Back then, Makati Cinema Square was a good place for hanging out because it had movie theaters, donut stalls, and a Chinese restaurant that served awesome fried rice. There was also a music store where you could buy minus-ones or sing first lines of songs for sales ladies to identify (yes, Millennials, we could not Google song lyrics at the time). 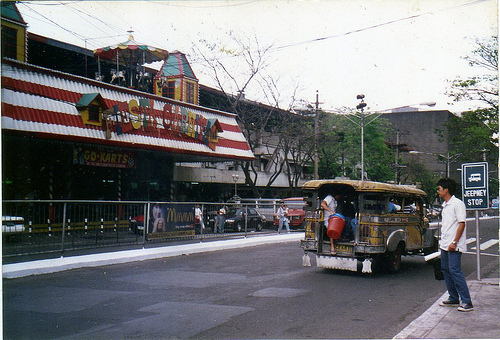 Located in Cubao, Fiesta Carnival was the go-to place in the ’90s. 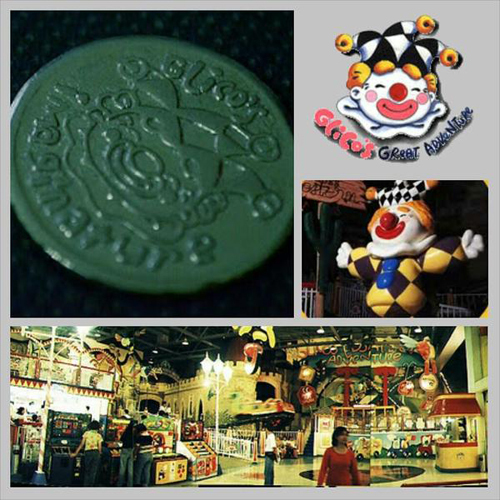 Before Shopwise was built on its grounds, there were go-karts and rollercoasters, making it a treat for everyone in the family. If you were the type of person who enjoyed being scared, the infamous horror train was the perfect ride because really, is there anything more terrifying than a gorilla chasing you? 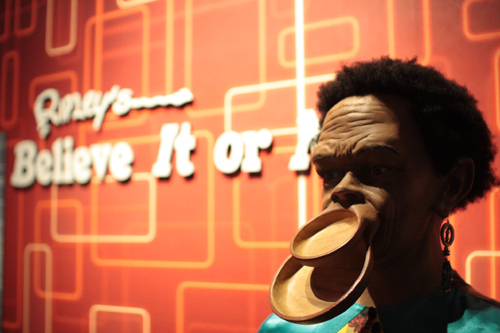 With that crazy tunnel entrance, the Ripley's Believe It or Not Museum in Shangri-La Plaza was a favorite field trip destination for students. The entrance fee was just about P600, and there were one-way mirrors where you could watch the people on the other side practice funny facial expressions that they’d imitate from a poster. Also, bizarre stuffed animals and a graveyard site. Definitely an interesting break from the usual field trip fare. Sundays were the best days at the old Virra Mall because you would see kids tiptoeing with their parents while balancing their fishing rods, trying to catch tilapia at the fishing pond. There was also a small train that looped all around the vicinity, complete with choo-choo sounds. After church, there was a variety of snacks to choose from: Uncle Martin’s soft-serve ice cream with an assortment of toppings, siopao at Choc Full of Nuts, a sandwich from Bread Connection, or the buttery hopia from Baker's Fair. 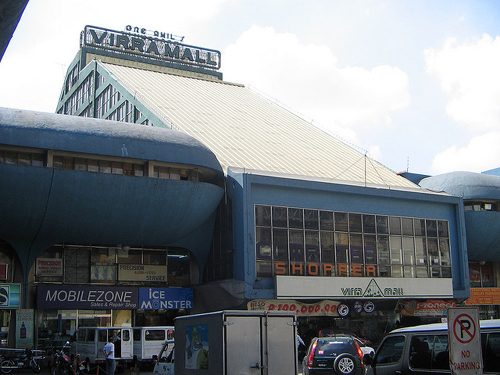 Virra Mall is now V-mall with more modern architecture and updated stores, but traces of the old mall remain. Another carnival site is Payanig sa Pasig, now replaced by Metrowalk. The star of this carnival was the boat ride, where you could fit as much as three people into a rubber boat and go around an enclosed area for a limited number of minutes. There were no life vests to speak of and you were pretty much left alone to navigate the "rough waters." 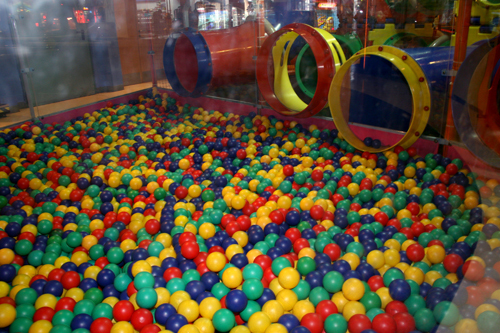 Playgrounds used to be a staple at all McDonald's branches, with ball pits and shoe racks lined up against the wall. It was where we waited for the food to arrive and perhaps was also the adults' respite from having to entertain us. You haven't experienced being a kid in the ’80s or ’90s if you haven't been in the middle of a McDonald's ball pit, peering through the net walls to see if your "double double cheese cheese burger burger please please" has arrived. When this store opened, it was heaven on earth for music lovers of Manila. It was hard to believe that such a huge music store could exist and the best part was that you could listen to them right there! With huge headphones! In the middle of the store! It was straight out of a ’90s movie. It was the dawn of the compact-disc era and it was such a revelation to be able to repeatedly skip to a particular track without having to worry about wearing out the magnetic tape. Plus there were all these posters and other merchandise up for grabs. 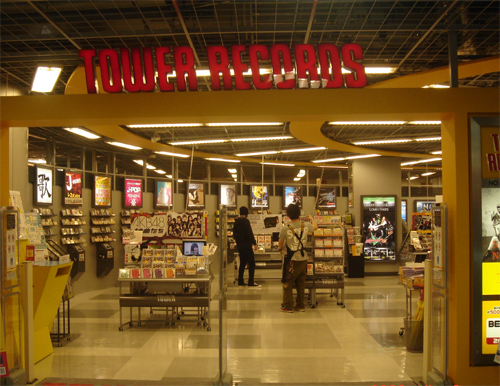 Admit it, your first Tower Records experience was pretty amazing. For students who suddenly had a free period, Glico's was always one of the first stops. Nobody cared if Crazy Bus or the roller coaster were meant for actual kids, the kids-at-heart squeezed themselves in anyway. It was a welcome break from window shopping and made you feel like you were at an outdoor amusement park. 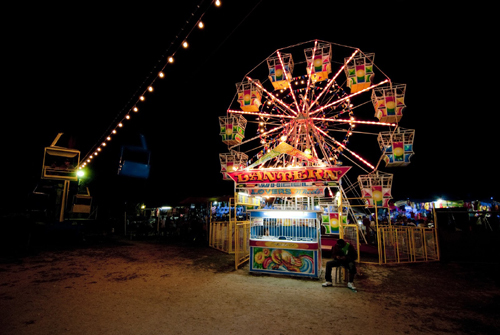 There were game booths, rides, and carnival food. The experience was not complete without walking around Glico's with their signature fizzy drink in hand.